The Crane Greenhouse is the second to largest structure in our Kew Collection. It offers you plenty of flexibility in customization, with space for benching, built in beds and pots. It is also a classic statement piece for any garden. 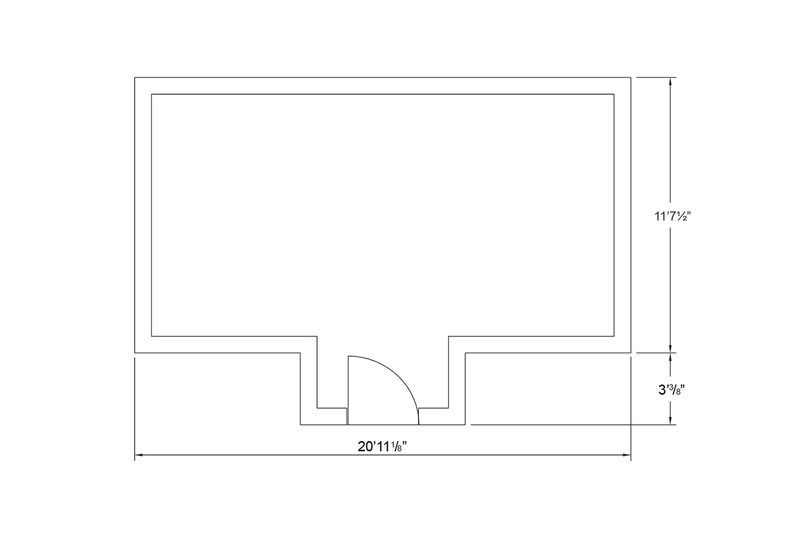 A must have accessory is our benching, at waist height to make gardening easier and relaxing. Enhance your growing environment with our LED Grow Lights to extend daylight hours and bring on seedlings all year-round. 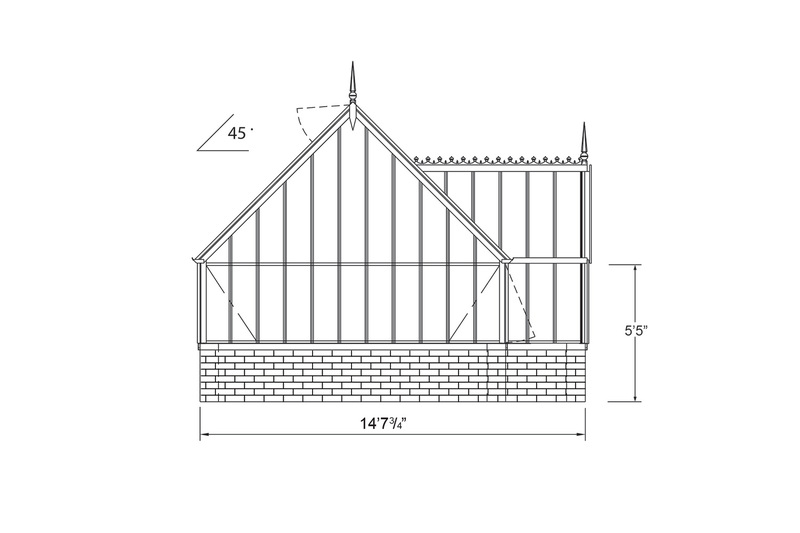 Like all of our greenhouses, The Crane has been designed with you in mind. 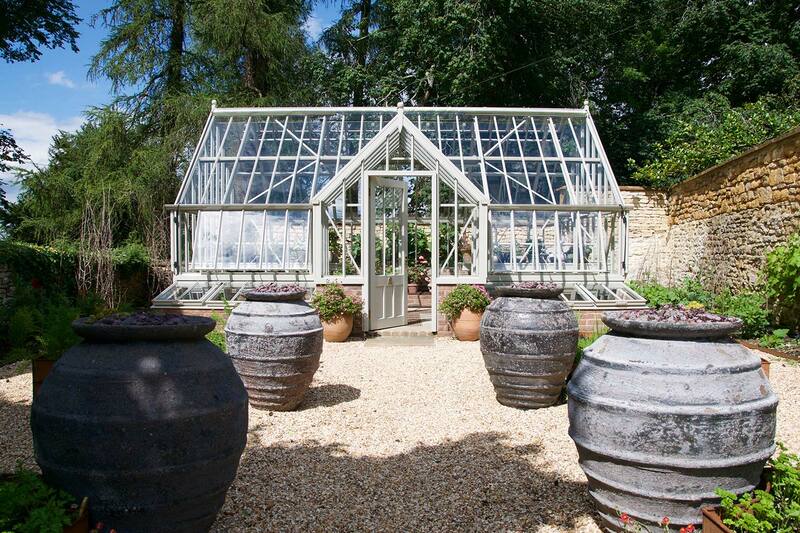 We ensure each aluminum greenhouse is built to the highest quality, whilst remaining low-maintenance and beautiful. All our Kew greenhouses have been named from the inspiration that lies within the history of the British botanical gardens. The Crane Greenhouse is named after Paul Crane, former Director of Kew and a knowledgeable individual within the horticultural world. Low maintenance and durable, requiring little upkeep. A central extended feature lobby provides a focal point and extra space. Automatic roof vents are controlled by the temperature inside and surrounding your greenhouse. They open and close using a bayliss piston system. 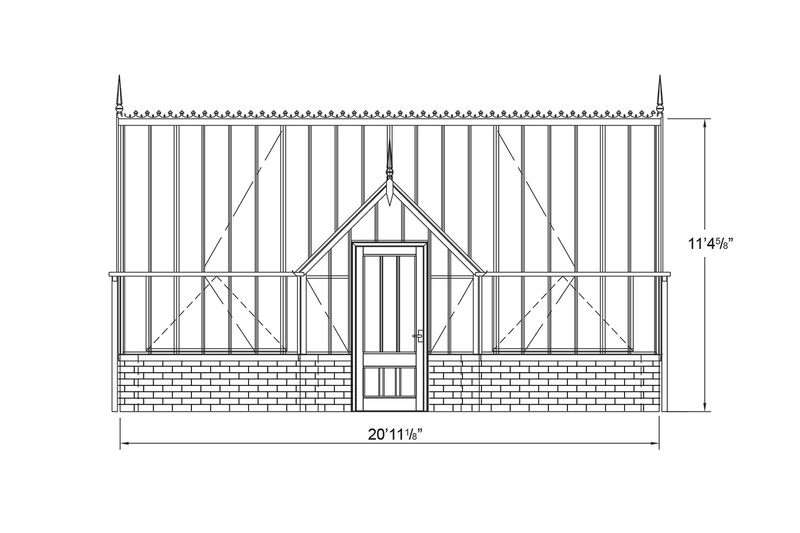 Manual side vents are positioned to provide optimum air circulation within the greenhouse. Powder coated in a color of your choice. Choose from our standard range of 13 colors or, if you want something a little different, your greenhouse can come in any color you like* – all we need is the RAL code. Our team of expert greenhouse designers are ready to discuss your needs with you. 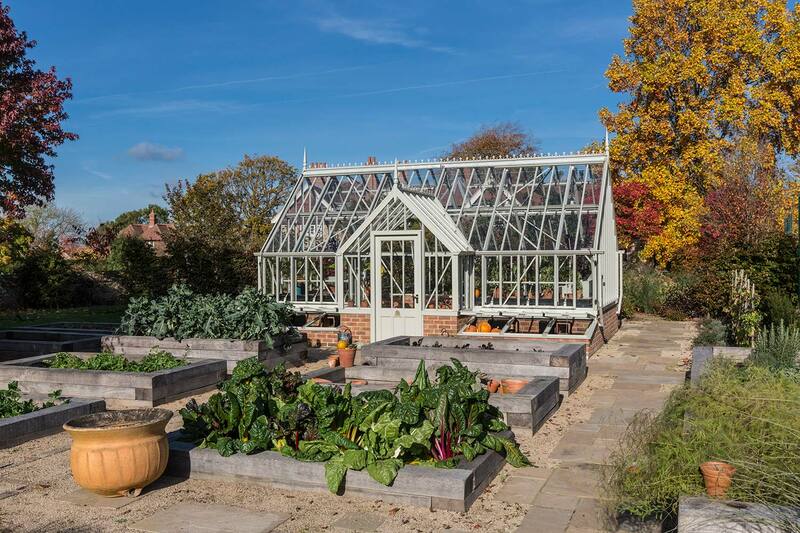 Contact us today to find out if the Crane Greenhouse is the right choice for you.